For those seeking a breathtaking piece of jewellery to celebrate the Year of the Dog in style, our boutique has an array of beautiful creations that can be worn to make a statement during Chinese New Year celebrations. 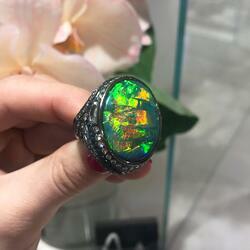 Our Lightning Ridge Black Opal Blue Sapphire Diamond Ring features a spectacular 25.10 carat lightning ridge Black Opal surrounded by 142 White Diamonds and 48 breathtaking blue Sapphires. The ring is the height of opulence and is the perfect eye-catching piece to inspire wealth and prosperity during your celebrations. 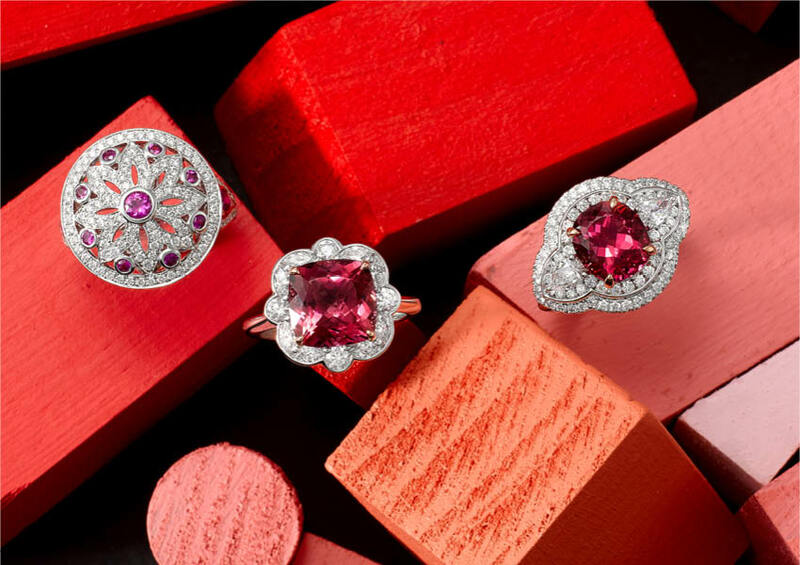 Incorporate lucky red into your jewellery this Chinese New Year with exquisite stones such as Tourmaline. 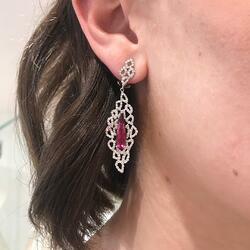 Our Tourmaline and Diamond Drop Earrings are both elegant and divine, featuring intricate White Gold Diamond detailing. Our dazzling Tourmaline and Diamond Cocktail Ring is essential for the New Year. A jaw dropping 4.58 carat Cushion Cut Pink Tourmaline sits at the centre of diamonds and a White and Rose Gold setting, which highlights the spectacular hue of the stone. 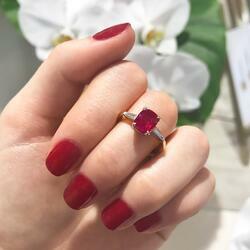 For a slightly more understated piece, our Ruby and Baguette Diamond Yellow Gold Ring is sophisticated and simple. 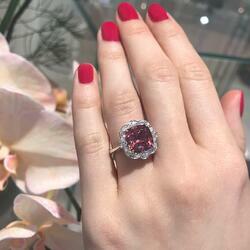 The divine 2.07 carat Cushion Cut Ruby is flanked by two tapered Baguette Diamonds and set with a Yellow Gold Band. The combination of the colours is eye-catching and dramatic and it showcases the gorgeous red coloured stone. Bring luck and happiness your way this Chinese New Year with beautiful bespoke Jewellery from our boutique. Contact us today if you’d like to arrange a time to view any of our pieces!